The Prestashop gift the product addon is an effortless way to make your customer feel special by offering them gifts depending upon their cart value. Work for Gift the product - Prestashop Addon by Knowband? Learning about Gift the product - Prestashop Addon by Knowband? What Rewards and Incentives solution do you use? Tango Card's Rewards as a Service™ or RaaS™ is a flexible digital reward (“e-reward”) delivered via email. We manage all the brand approvals, legal agreements, inventory, sending, and tracking of digital gift cards. And, Tango Card has a RaaS API that can be integrated into any platform. Easily send e-gift cards and Visa/MasterCard by email. Personalize the gift experience. Manage multiple programs with a clear picture of gifts and expenses. Get 100% refunds on unclaimed gifts. Rybbon easily plugs into Marketo, HubSpot and SurveyMonkey. You can get started in minutes without IT or API coding. Giftbit is a rewards platform that lets you buy, deliver and control digital gift cards via email, text or in-app. You can also automate gift card sending with Giftbit’s RESTful API integration. 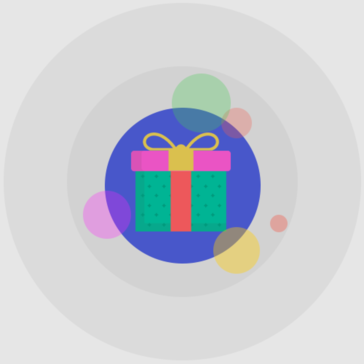 With Giftbit, you get comprehensive reporting and tracking on the status of every gift card, custom branding, and freedom from inventory management. Gyft is a digital gift card platform that enables you to manage your gift cards. We help businesses thrive by building and strengthening relationships with employees & customers. Hallmark's B2B unit. CashStar provides merchants with the end-to-end first party solutions and services they need to manage the sales, marketing, production, operations and distribution of digital and physical gift cards across channels and devices. Gift Cards Made Simple. Buy & send an awesome personalized gift experience! At Swift we provide efficient, flexible payment mechanisms, and help our clients design prepaid programs that drive revenue, increase efficiency and strengthen brands. The Prestashop gift card manager addon is provided by Knowband it allows the store admin to incorporate gift card option in the Prestashop store. * We monitor all Gift the product - Prestashop Addon by Knowband reviews to prevent fraudulent reviews and keep review quality high. We do not post reviews by company employees or direct competitors. Validated reviews require the user to submit a screenshot of the product containing their user ID, in order to verify a user is an actual user of the product. Hi there! Are you looking to implement a solution like Gift the product - Prestashop Addon by Knowband?